January 1940. London. DCI Frank Merlin and his team are called in to investigate when a scientist is killed in a hit and run and the body of an employee of the American Embassy is discovered alongside the Thames. Merlin’s investigation leads him to the office of the American Embassy and Ambassador Joseph Kennedy, a well-known supporter of appeasement. When another Embassy employee dies, Merlin, the charismatic detective, finds himself exploring the seedier parts of wartime London. A corrupt night-club owner, high-flying diplomats and the Ambassador himself appear to be linked to the events surrounding the deaths. DCI Frank Merlin must solve the case without ruffling feathers at the embassy, or straining Anglo-American relations, at a time when America represents to many Britain’s only hope of salvation. Source: Info in the About Princes Gate was from the press kit from the publicity team. December 1938. Moscow. Stalin has lost some gold. He asks his henchman, Beria, to track it down. September 1940. London. DCI Frank Merlin investigates the disappearance of a Polish RAF pilot while battling an epidemic of looting unleashed by the Blitz. A compelling story of treasure, treachery, and murder unfolds. 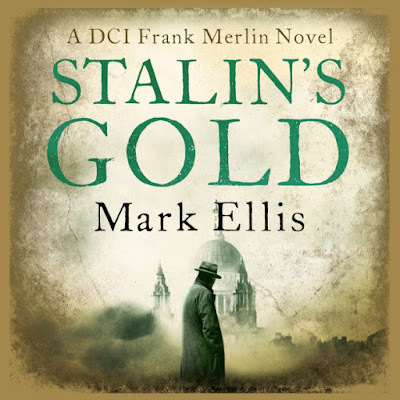 Eventually, as Hitler reluctantly accepts that the defiance of the RAF has destroyed his chances of invasion, a violent shoot-out in Hampstead leads Merlin to the final truth...and Stalin to his gold. Source: Info in the About Stalin's Gold was from the press kit from the publicity team. 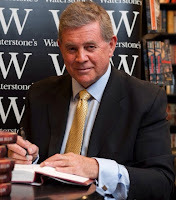 Mark Ellis is a thriller writer from Swansea and a former barrister and entrepreneur. He is the creator of DCI Frank Merlin, an Anglo-Spanish police detective operating in World War 2 London. His books treat the reader to a vivid portrait of London during the war skilfully blended with gripping plots, political intrigue and a charismatic protagonist. 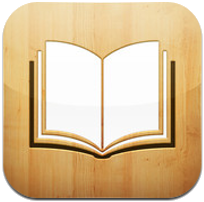 Ellis’ books regularly appear in the Kindle bestseller charts. He is a member of the Crime Writers Association. Matt Addis has worked extensively on stage and screen, most recently seen in the international tour of War Horse and in hit BBC comedy W1A. 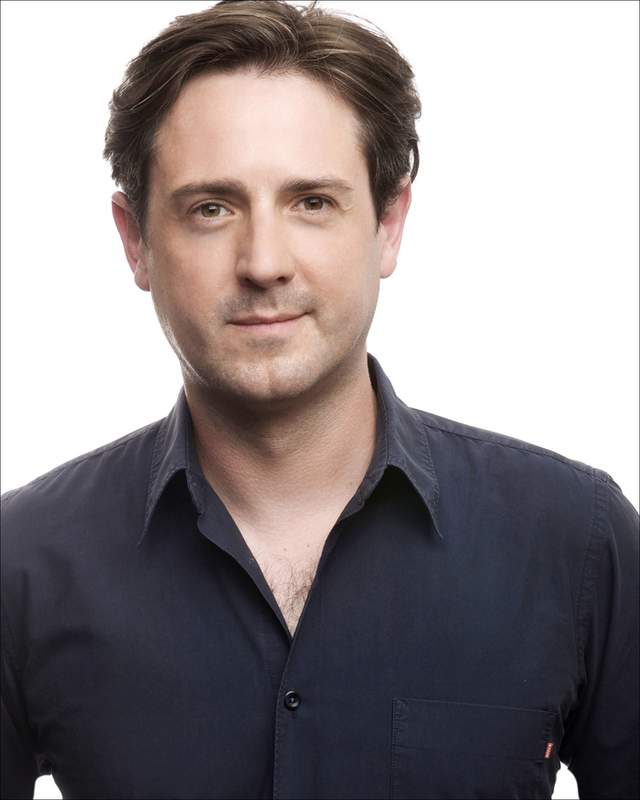 He's also a well-known voice to radio listeners, having appeared in hundreds of dramas, comedies and documentaries. He has narrated over a hundred unabridged audiobooks. 1. Entry is open to all UK residents aged 18 or over (including Channel Islands, the Isle of Man, Scotland and Northern Ireland), except Audible.co.uk and Cherry Mischievous employees. Proof of age, identity and eligibility may be requested. 2. The competition will run from 27 July 2015 to 02 August 2015. During this time, entrants will be invited to answer a question about Princes Gate or Stalin’s Gold by Mark Ellis. The competition question will be provided by Cherry Mischievous. 3. The competition question will be live and accessible on Cherry Mischievous for the duration of the competition. 4. Entrants will be asked to fill out an online form hosted on Cherry Mischievous with the correct answer. Entrants will also be asked to provide a contact name and email address. 5. All answers will be judged and collated by Cherry Mischievous personnel. One winner will be chosen at random from the correct entries by Cherry Mischievous at the end of the two week competition period. 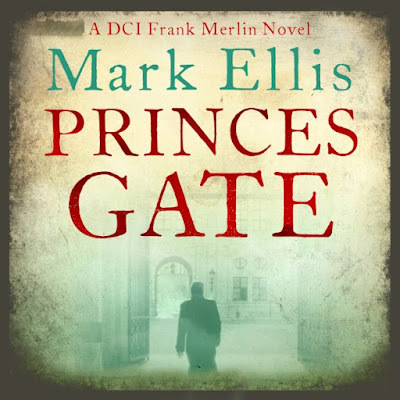 Details of the competition winner will then be forwarded to Audible.co.uk in order to process the prize; TWO CREDITS from Audible.co.uk for Princes Gate or Stalin’s Gold by Mark Ellis. 6. 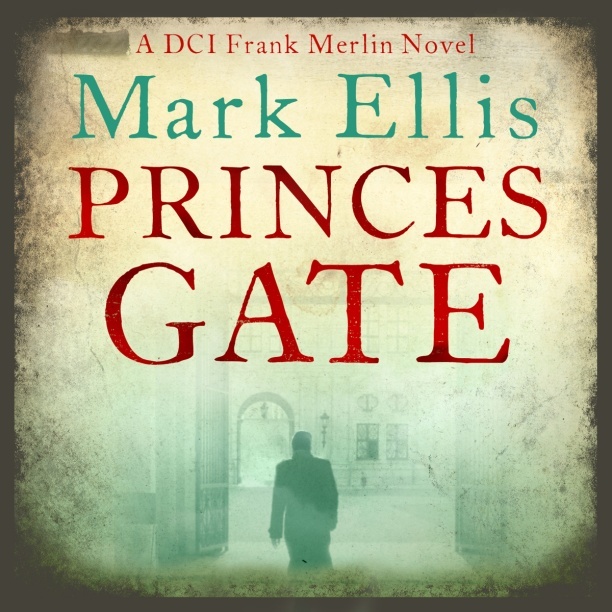 In order to win the free audio download of Princes Gate or Stalin’s Gold by Mark Ellis from Audible.co.uk, competition winners must have an Audible.co.uk account and be able to provide a valid Audible.co.uk log-in email address with a UK billing address. Creating an Audible.co.uk account is free. 7. Winners will be notified by email on the day of the draw. 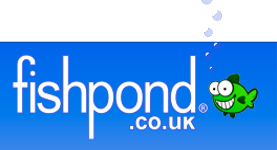 Winners have five (5) business working days to respond in full to the email or another winner will be drawn. 8. This Audible.co.uk competition is free to enter and run. There is no cash alternative and the prize cannot be sold or transferred in any circumstances. 9. Audible.co.uk reserves the right to remove competitions from any host website at any time if they display offensive, abusive or any other kind of unsuitable content. 10. Audible.co.uk will only ever use personal details for the purposes of administering this competition. 11. Audible.co.uk reserves the right to: (i) amend these terms and conditions and vary the competition opening times; (ii) disqualify any entrant who breaches the rules or has acted fraudulently in any way; (iii) where applicable, withdraw or substitute any prize, at any stage, should any winner exhibit inappropriate or dangerous behaviour (iv) cancel the competition, at any stage, if in its opinion it is deemed necessary or if circumstances arise outside its control. 12. Audible.co.uk, its sub-contractors, subsidiaries and/or agencies cannot accept any responsibility whatsoever for any technical failure or malfunction or any other problem which may result in failure to complete the prize audio download. 14. Once a winner has been chosen, the winner will be notified by email from Cherry Mischievous. 15. Entrants will be deemed to have accepted these rules and to agree to be bound by them when entering. oh this one looks very interesting!! I do love mysteries like this one.